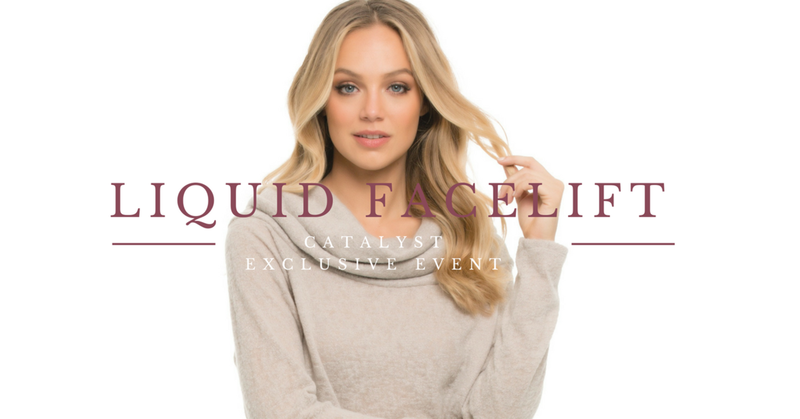 Our First Ever Liquid Facelift Event! We are happy to put another successful Catalyst event in the books! The entire staff's anticipation of this Liquid Facelift event was exciting! After we had this idea to educate as many people as possible about this amazing treatment, we were still a little nervous! We had no idea how many people in the area would be interested. To prepare for the evening, we did not hold back! We put out lovely tables with white linens around our spa lobby, mimicking the feel of a small-town dinner theater. 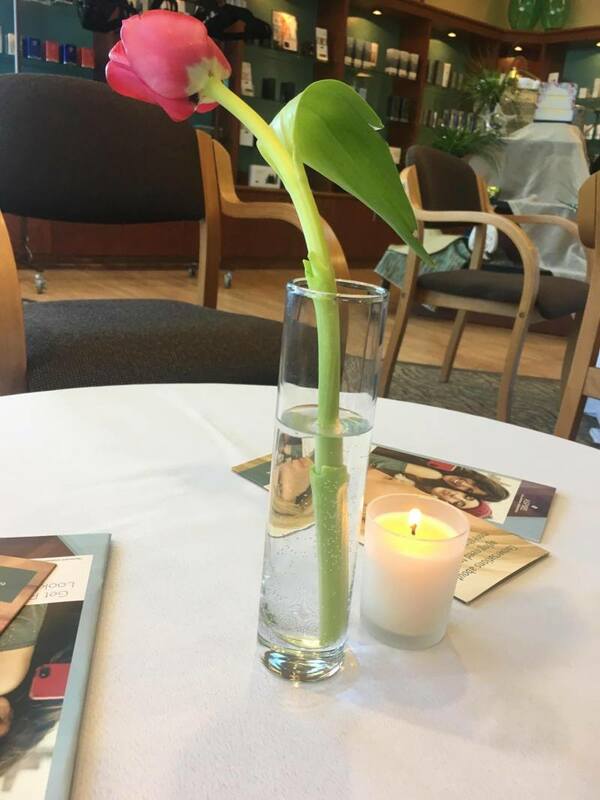 Topping the tables were beautiful, fresh tulips and a simple, lit candle. 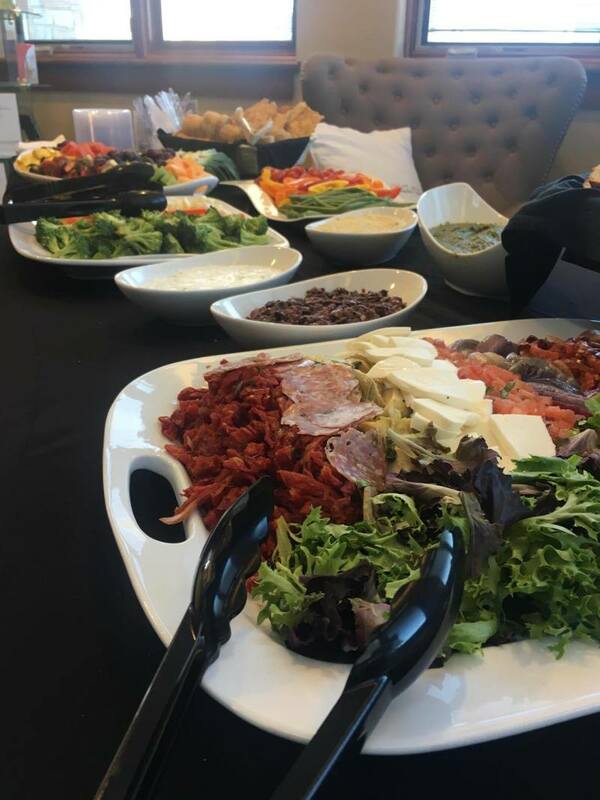 The exquisite food available was crafted by Mosaic Catering and consisted fresh vegetables and tasty dip options, delicious fruit, an assortment of cheese, crackers, and meat as well. For something sweet, fancy miniature desserts of brownies and huge chocolate covered strawberries were offered. Guests were served red or white wine and sparkling water with fresh cut fruit. 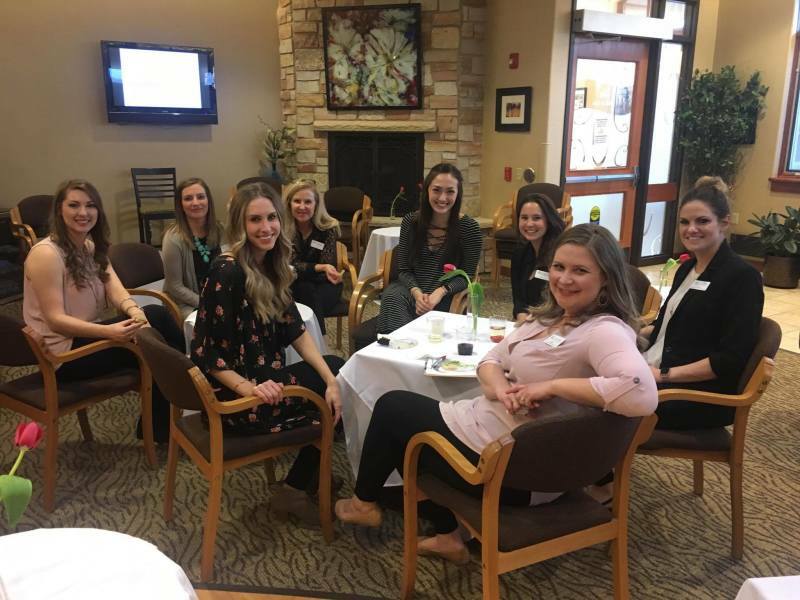 Needless to say, our attendees were ready for a great evening at another exclusive Catalyst Clinical Spa event. The event consisted of a thorough presentation from our beautiful Sculptra representative, Sara. Sara effortlessly described the treatment process, educated guests about the facial aging process, and answered questions. There were extremely helpful videos and images and Sara discussed her personal experience with Sculptra. Her message included her own before and after photos which left the audience nearly speechless and highly impressed! Live Demonstration, Private Consultation, and Surprise Bonuses! The live demonstration followed. Guests were ecstatic to have the opportunity to observe the procedure process first-hand. Our wonderful model did such a fabulous job! Guests received private consultations and special VIP pricing. Those who decided Sculptra was the perfect non-surgical, anti-aging solution took advantage of the event special and purchased the night of the event and were also given a Dysport treatment as a bonus! Dysport is a treatment similar to BOTOX for lines around the eyes and forehead. Talk about a great gift! We love to treat our event guests very well! We want to THANK EVERYONE who was able to attend! We hope you enjoyed your evening and learned everything you need to learn about Sculptra! If you missed out on this event, expect much more to come. Keep an eye out on our Facebook page and CatalystMedicalCenter.com for what's next. We look forward to seeing you at our next event!